It's been an amazing week at Silver Dollar City and the Showboat Branson Belle, where we continue to celebrate Christmas with lights, shows, entertainment and all that makes this the most wonderful time of the year! 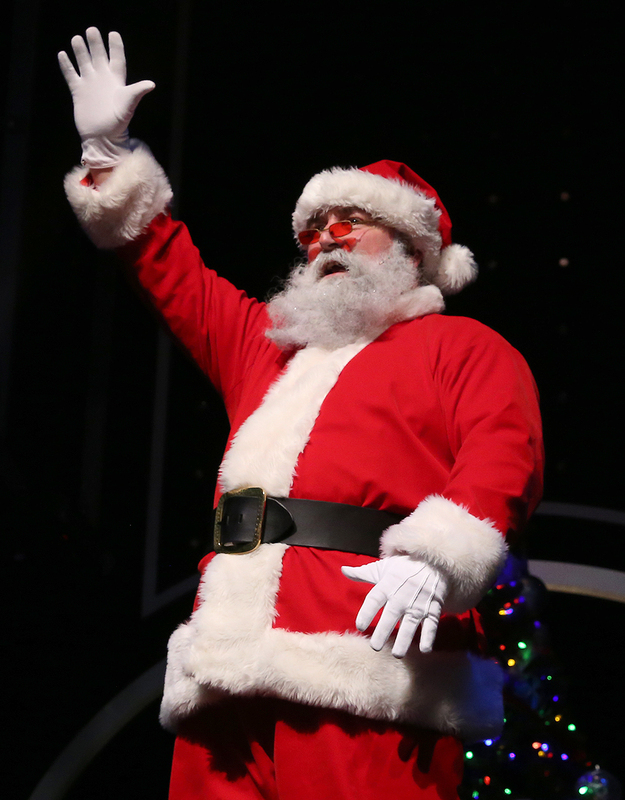 Whether you want to relive your visit or can't wait for your next one, take a look at some new photos from An Old Time Christmas®, Santa's Pancakes & Pjs Cruises and the Showboat Branson Belle's all-new Christmas variety show. 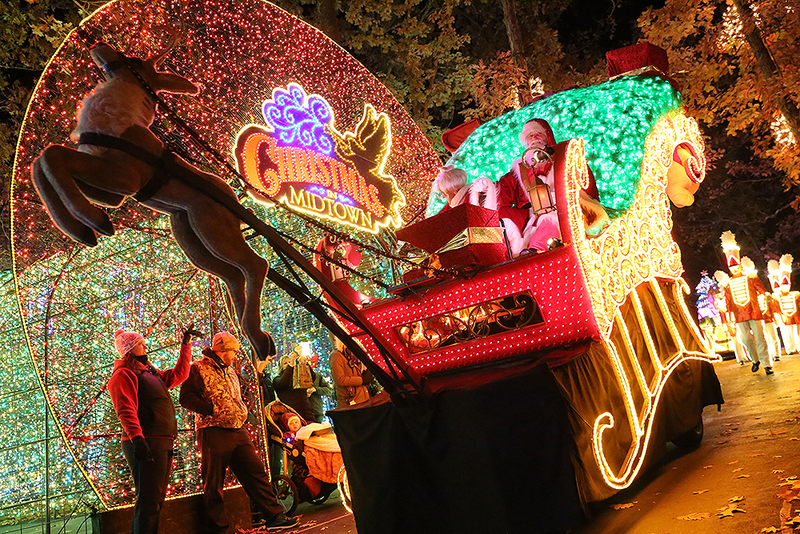 ‍At Silver Dollar City, a float carrying Santa and Mrs. Claus proceeds down Hugo's Hill Street during the park's nightly Christmas parade. Some more of the parade's 45 costumed characters can be seen in the background. 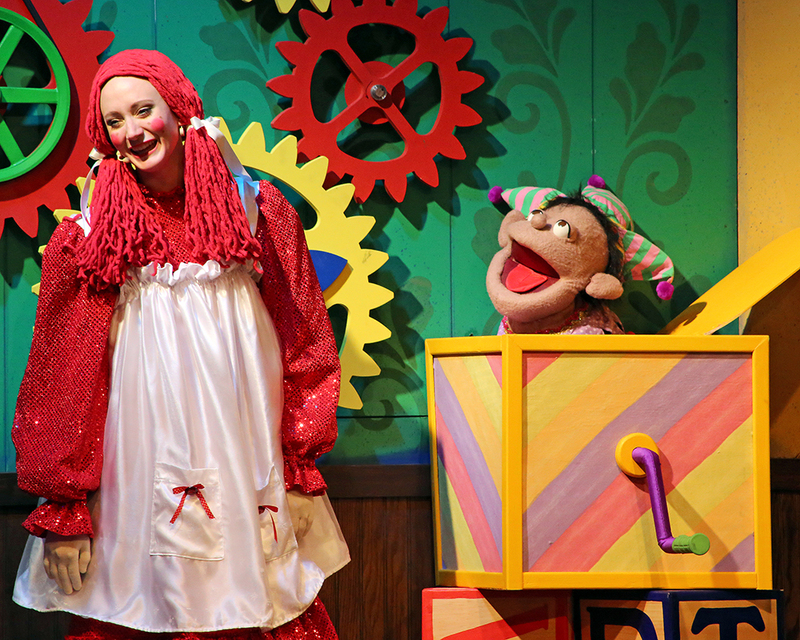 ‍Raggedy and Jack share a laugh during a production of TInker Junior's Toy Shop. 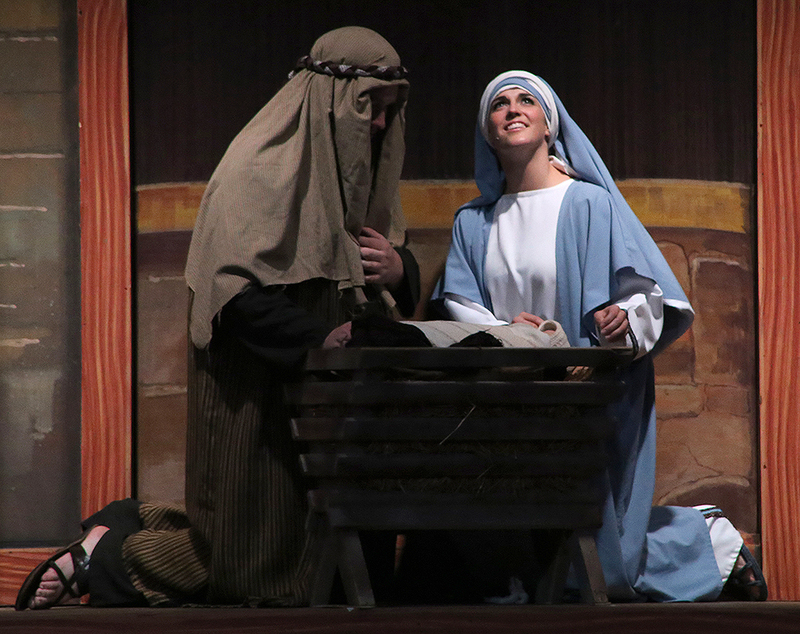 ‍An actress portraying Mary looks toward the heavens during The Living Nativity, a dramatic portrayal of the birth of Jesus Christ. Rudolph™ The Red-Nosed Reindeer and Clarice™ greet guests at Rudolph's Christmas Town. Guests pose for a photo with Bumble The Abominable Snow Monster™ at Rudolph's Christmas Town. 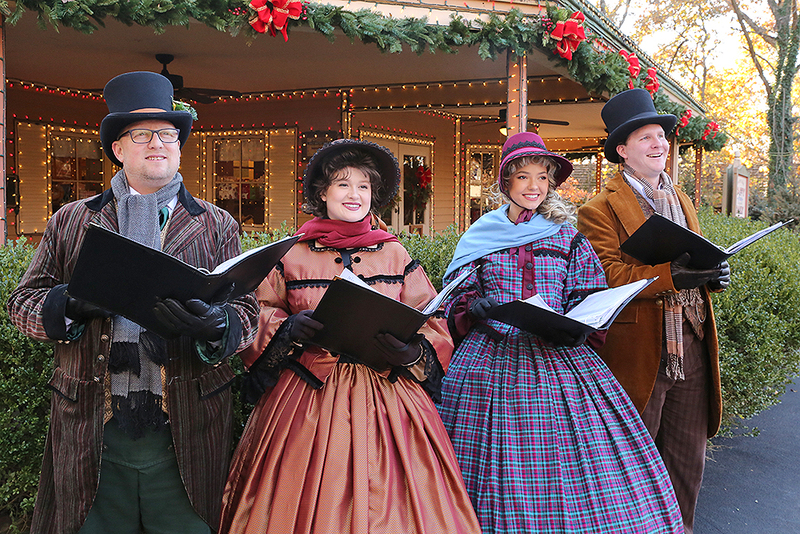 ‍Joyful Voices, Silver Dollar City's resident Christmas carolers, sing in front of Phoebe Snapp Taffy. 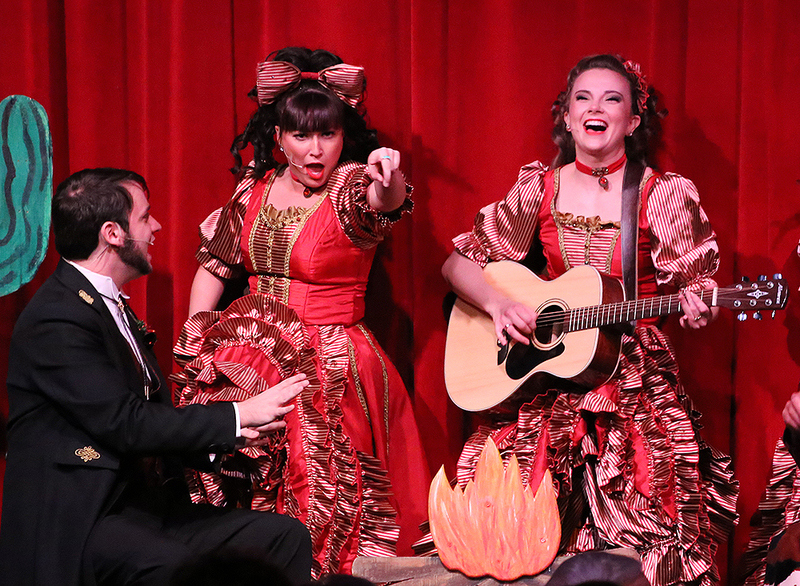 ‍The Saloon gang sings songs around the campfire during Frontier Fa-La-La Follies, a hilarious Christmas show set in the Wild West. ‍Performers show off some of the exquisite Victorian costuming on display during A Dickens' Christmas Carol, a Broadway-style musical based on the classic Charles Dickens novel. 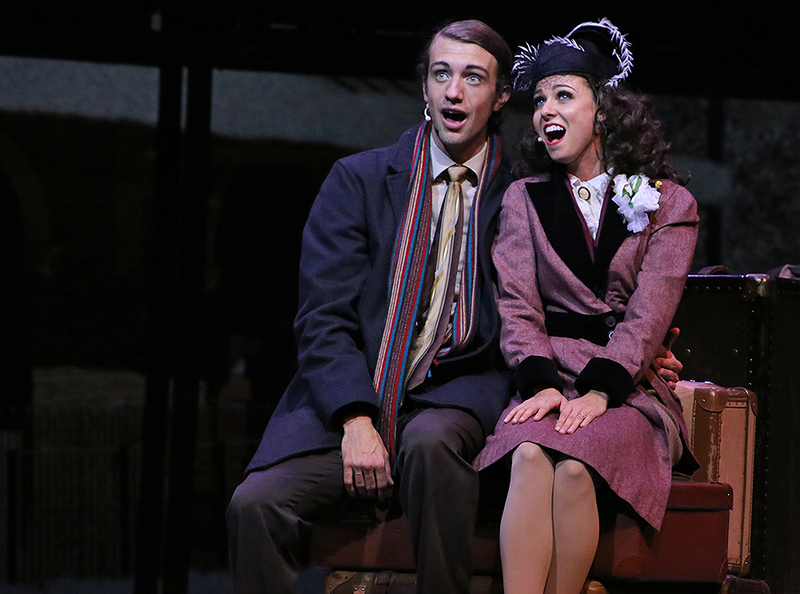 Cast members admire a baby in a stroller while performing one of the songs in the production. 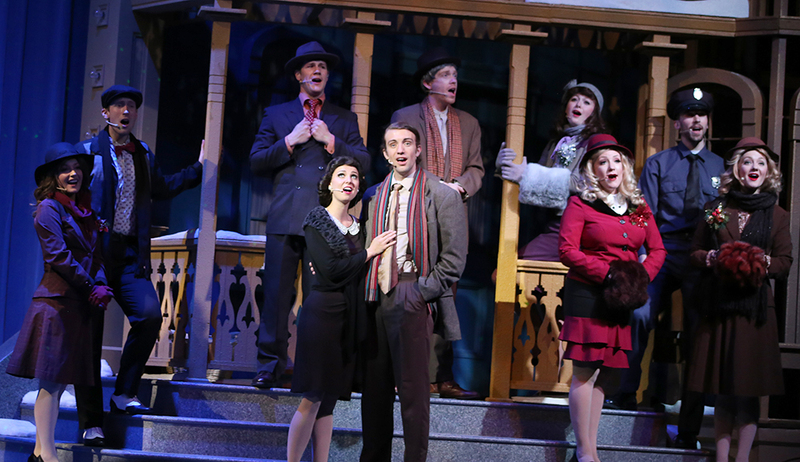 ‍The citizens of London voice their displeasure with Ebenezer Scrooge, left, during one of the show's early numbers. ‍This collection of Christmas dishes is available in the General Store. ‍Residents of Bedford Falls gather to sing the closing number during It's A Wonderful Life, an original musical adaptation of Frank Capra's iconic 1946 movie. 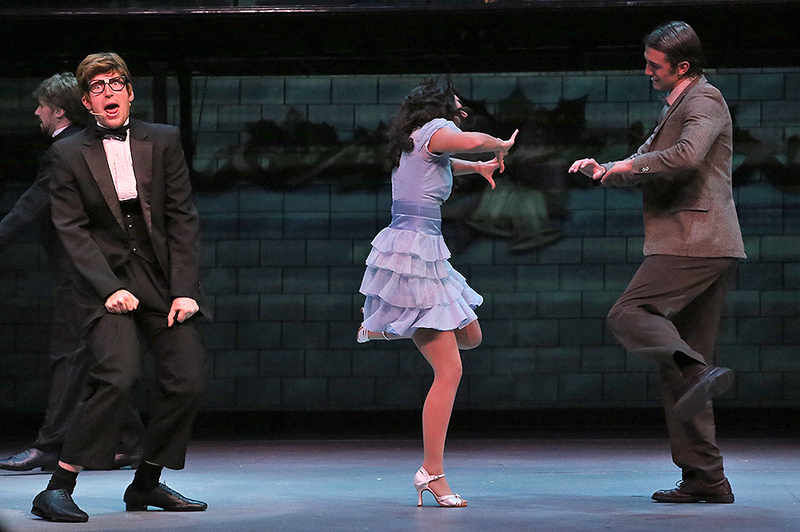 ‍A cast member, left, vows to get revenge on George Bailey, right, for dancing with his date. 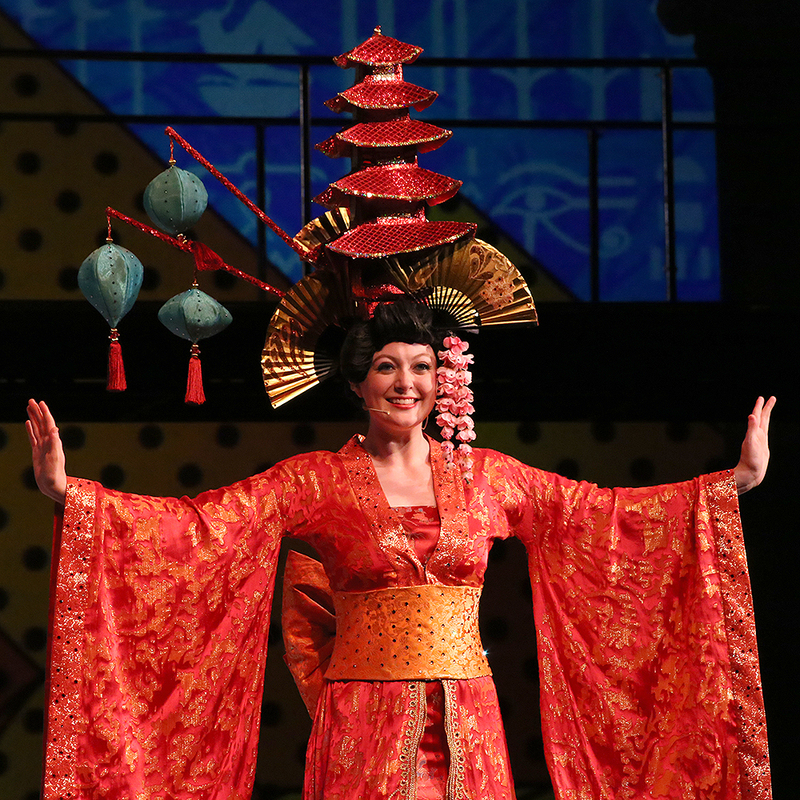 ‍A cast member wears a costume representing Tokyo, Japan, during one of the more than 10 songs featured in the Broadway-style musical. George and Mary Bailey, recently married, prepare to embark on their honeymoon. At the Showboat Branson Belle, a Showboat dancer lifts up his partner during a routine in the new Christmas Show. A Showboat singer hits all the high notes during a performance of "All I Want For Christmas Is You," made famous by Mariah Carey. ‍A Showboat Dancer salutes her fellow cast members after the conclusion of the show. ‍A Showboat Singer and band member team up on a performance of "Run Rudolph Run." 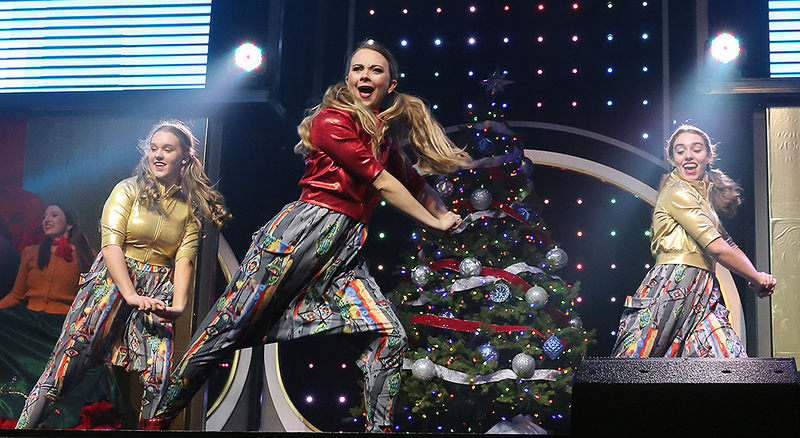 ‍The Christmas Show also includes a tribute to America's Favorite Movies, during which the cast performs over 25 movie soundtrack hits in less than 10 minutes. 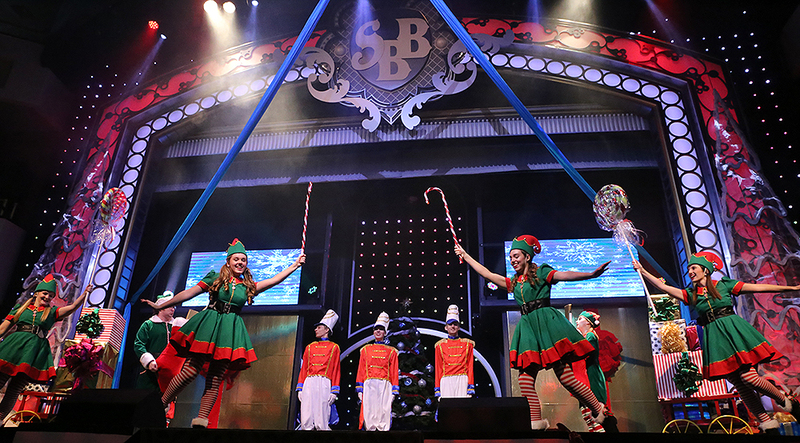 ‍Elves and toy soldiers dance on the Showboat Branson Belle stage during our limited-time Santa's Pancakes & PJs cruises, which feature children's activities and a live stage show. ‍Santa Claus waves goodbye to the audience before heading to the dock, where he's available for photos following the cruise. ‍Santa's helpers show off their moves during a dance battle near the end of the show. 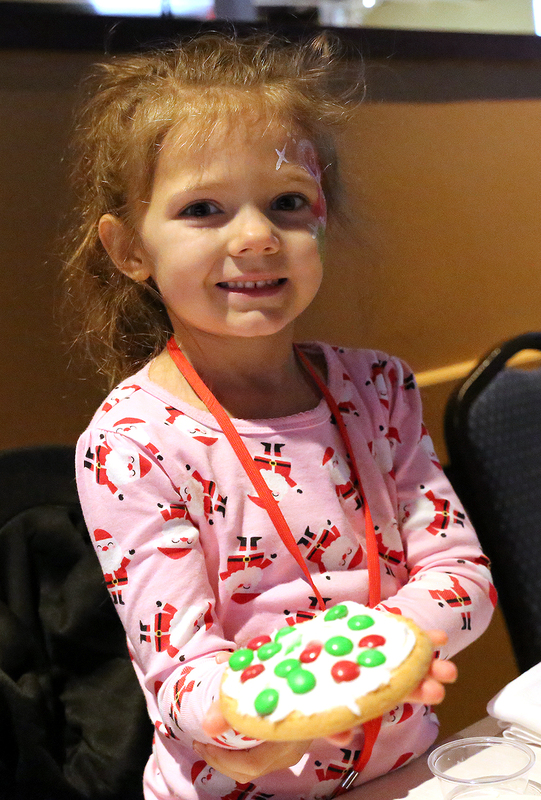 ‍A young guest shows off the cookie she decorated with the help of Mrs. Claus. 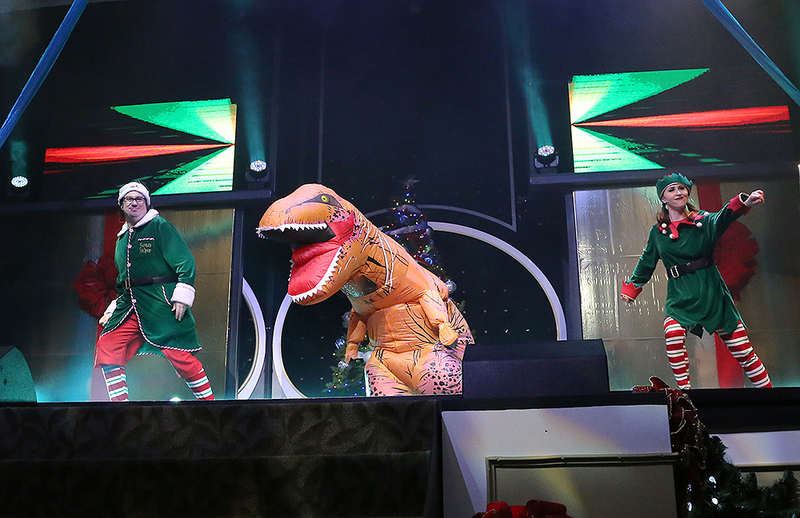 ‍These special Christmas cruises are filled with fun surprises, like an appearance from a dancing dinosaur! Come be a part of the fun! An Old Time Christmas® continues select days through December 30, while both Christmas shows on the Showboat Branson Belle run select days through December 23. Get your tickets online today!